Relaunch announcement will be posted from Galaxy MacauTM official website. Nightlife will never be the same. CHINA ROUGE, the forbidden chamber for the Southern China elite, is an ultra-exclusive private members club that exceeds the long-unmet expectations of those with discerning tastes for the finer things in life. CHINA ROUGE seamlessly blends elements of the classic and modern, and East and West, for an experience that reaches far beyond two mere sides of the same equation. Words can never describe its magic. Be prepared to enter a realm that is simply beyond black and white. 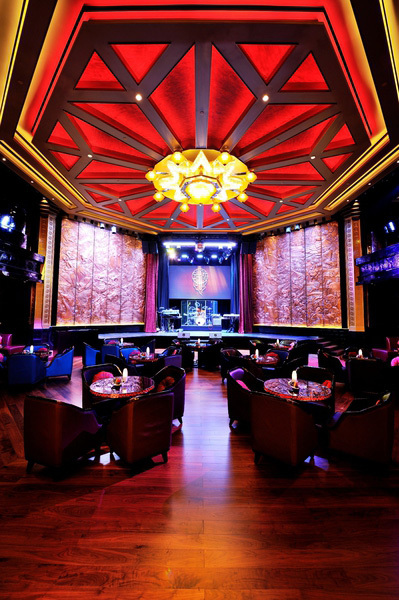 At CHINA ROUGE, Eastern chanteuses perform contemporary cabaret in a modern-day boudoir setting. Translated literally from Chinese, the name CHINA ROUGE means “Red Hot Diva” – an intriguing woman who blends classic style with an air of the avant-garde. Seemingly distant and aloof, she is at other times warm and inviting, revelling in her deliberately contradictory je ne sais quoi. The show room, overlooked by a luxury VIP mezzanine floor, lies at the heart of the club. Live entertainment includes leading artists from China, Asia and around the world, spanning multiple genres and catering to the tastes of an ultra-exclusive clientele. Asian performances are flavored with Western elements, and nostalgic homages to the past are updated with modern twists, building excitement and energy levels as evening gives way to night. A number of classic Chinese folk stories have found their way into the nightly music, song and dance performances, as well as the design features. The venue’s soaring ceilings give all of these elements plenty of room to shine. 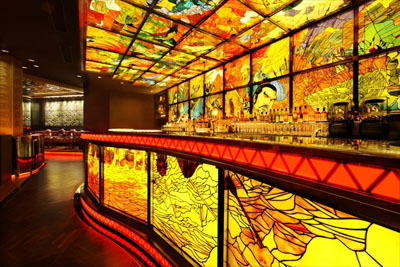 CHINA ROUGE will also be an exceptional place to drink and eat. Members can enjoy top-quality Champagnes and wines, innovative signature drinks concocted with a nod to the classics, expertly mixed cocktails and premium spirits. Drinks are accompanied by delectable, Shanghai and internationally-inspired dishes covering the spectrum from modern cuisine to comfort food … all made from the finest ingredients. As a by-invitation-only venue, leading lights from the worlds of business, art, entertainment and design will feel at home in their very own forbidden chamber of Macau, CHINA ROUGE. This is a private club where members can relax, entertain and be entertained … a new, non-conformist nightspot that takes evenings in Macau beyond black and white. China Rouge in Macau is back and open!